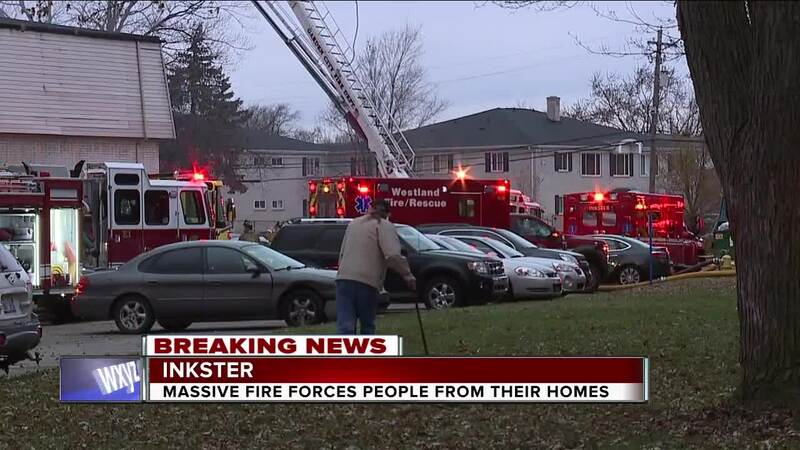 A massive fire destroyed two apartment buildings at the Canterbury Woods complex in Inkster. Five fire departments were called to help fight the flames Saturday afternoon on Tobin Drive. Investigators tell 7 Action News the fire started in one building and spread to another. 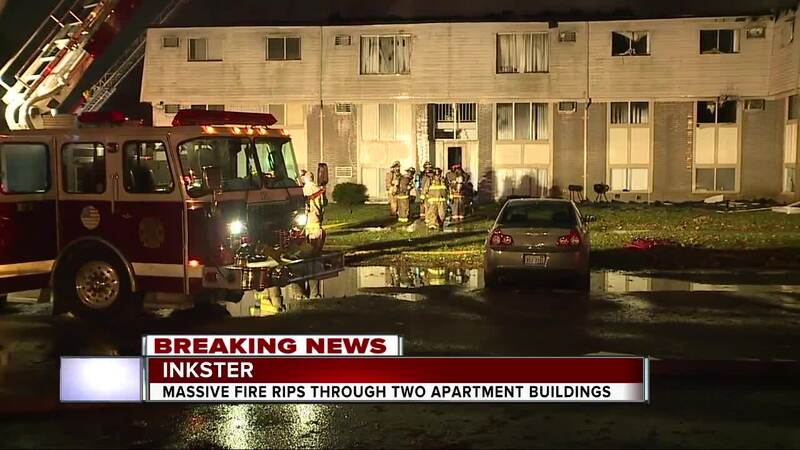 At least 24 apartments have been destroyed. "There was nothing I can say, nothing I can do, I couldn't get in," said Dionne Pace. "I mean you just stand there and just watch, period." The American Red Cross is providing assistance. No one was hurt.